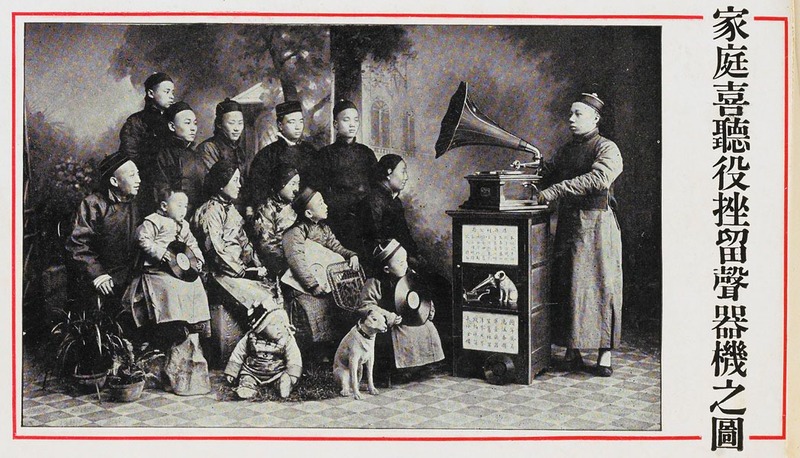 Students gain an understanding of day-to-day life in the past through learning about the types of leisure activities that accompanied the use of the gramophone. Students consider how family life was different in the past, and consider the types of activities that their families do together today. Students evaluate different types of technologies and consider how objects can give us clues about the past. With your students, watch the video 'What is this? Gramophone'. Ask students to describe what they can see in the paintings. How are the families the same as their families? How are they different? Do the students listen to music differently in their families? Why might it be different or the same? Both images show the activity as a special occasion. All the focus is on the activity of listening to music. Can the students think of any activities their family does today where everyone participates and concentrates on the same thing? Ask the students to look carefully at the images of the families listening to music. Ask them to draw and label a picture of their family listening to music. Bring in an example of a record, a cassette, a CD and an MP3 player. Ask the class to speculate on which of these items is the oldest and which is the newest. Use this activity to model historical language to students and for students to use appropriate tense in their discussions. Make sure students have the opportunity to explain why they think an object is older or newer. Make sure students are aware of sources of information (their own prior knowledge, asking others, learning from other sources such as books or video). Students may need prompts. Look very closely. What can you notice? What do you find interesting about these objects? Do any of these objects look very worn? What might this tell us about the life of the object? Do any of these objects look the same as objects we use today? What do you already know about these objects? How can that help our investigation? Where can we go to find out more? Ask students where they have seen people dancing and what type of dancing they have seen. Show students one of the YouTube videos of people dancing to gramophone music in the 1920s: 1920s Charleston video (10 mins) or Roaring twenties dance craze video (2 mins). Ask students to describe the kinds of movements they saw in the video. Ask them how it is different from other types of dancing they have seen. Teach the students a few basic steps and let them dance to the gramophone music in the videos. Instructions on how to do simple steps can be found on this web page on learning to dance the Charleston.